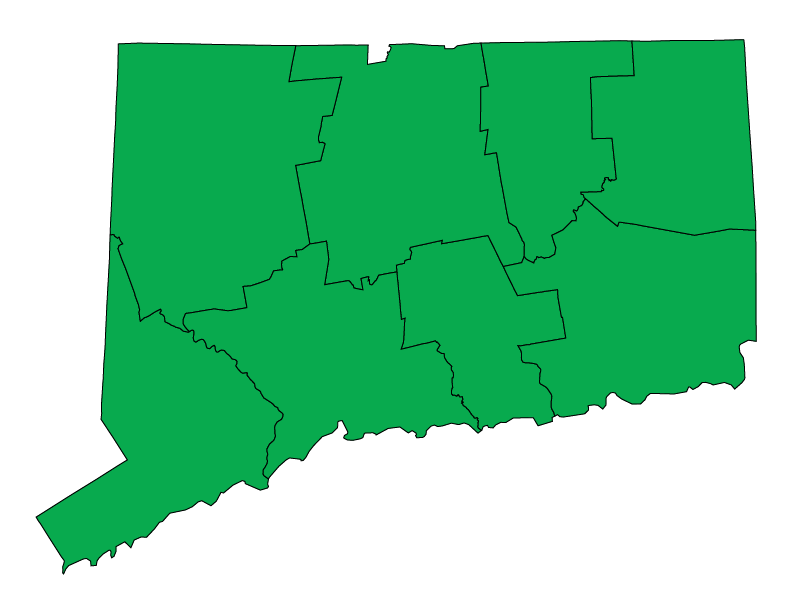 The local building official in each jurisdiction is responsible for enforcing the Connecticut State Building Code. During the state review of model codes, any interested member of the public may submit proposals to change the language of the model codes. The Code Amendment Subcommittee (CAS) administers the adoption process and has established procedures for code change proposal submissions. The Office of the State Building Inspector, part of the Division of Construction Services, enforces building codes, including the energy code. Codes are said to be updated no more than every four years, by the Connecticut General Assembly who approves codes, and legislature that sets the implementation dates. The Connecticut Codes and Standards Committee votes to accept the recommendations for acceptance of the Proposed 2016 State Building Codes and the 2016 State Fire Safety Code. In accordance with the requirements of Public Act 16-215, the 45-day public comment period for the final draft of the CT State Building Code began on June 21st and ended on August 5th. Comments received along with responses to those comments can be found here. The review committee votes to adopt the 2012 IECC with weakening amendments. The 2013 Amendment to the 2005 State Building Code adopts the 2009 IRC and the 2011 National Electric Code (NEC) into the 2005 code with state-specific changes. After adopting the 2011 Amendment to the 2005 State Building Code on September 27th, the Department of Public Safety (DPS) submits the rule to the Secretary of State and makes them effective. The energy code for commercial and residential buildings becomes the 2009 IECC. The Connecticut Department of Public Safety’s State Codes and Standards Committee (SCSC) announces that it intends to review and consider proposals amending the 2009 IECC for inclusion in the 2010 Amendments to the 2005 State Building Code (which currently uses the 2006 IECC) to comply with Public Act 09-192. The Connecticut Department of Public Safety holds a public hearing to take written and oral comments on a proposed 2011 Amendment to the 2005 State Building Code to adopt the 2009 IECC. The Department of Public Safety releases its final draft of the 2011 Amendment to the 2005 State Building Code to adopt the 2009 IECC, along with the Summary of Comments-Responses received at a December 2010 hearing. The Draft 2011 Amendment must be submitted to the Office of the Attorney General for approval followed by the Legislative Regulation Review Committee. The 2009 Amendment to the 2005 State Building Code proceeds through the regulatory adoption process and becomes effective. This amendment updates the energy code for residential and commercial buildings to the 2006 IECC. The provisions of this code shall apply to “the construction, alteration, movement, enlargement, replacement, repair, equipment, use and occupancy, location, maintenance, removal and demolition of every building or structure or any appurtenances connected or attached to such buildings or structures”. A second 2009 Amendment to the 2005 State Building Code revises Chapter 541, Sec. 29-256a of the General Statutes of Connecticut to comply with Public Act 07-242. This requires all buildings, except residential buildings with fewer than five units projected to cost $5 million or more, to qualify for a LEED-Silver rating or an equivalent standard, such as a two-globe rating under the Green Globes USA design program. The same is required of renovation projects that are expected to cost two million or more. Due to the problems of enforcement, efforts are underway to propose overriding legislation to remove the requirement but keep the state on a path to strong energy codes. House Bill 6284, which would update the state energy code and create green building standards, is passed by the legislature and signed into law as Public Act No. 09-192 by then-Governor M. Jodi Rell. The bill requires the State Building Inspector and the Codes and Standards Committee to revise the State Building Code to incorporate the 2012 IECC for commercial and residential buildings within 18 months of its publication. It also requires a LEED Silver rating for new construction projects costing over $5 million and renovation costing over $2 million. The same is required of renovation projects that are expected to cost $2 million or more. Due to the problems of enforcement, efforts are made to propose overriding legislation to remove the requirement but keep the state on a path to strong energy codes. The governor signs Public Act 07-242 into law, requiring that all buildings (except residential buildings with fewer than five units) that are projected to cost $5 million or more to qualify for a LEED Silver rating or an equivalent program, such as a two-globe rating under the Green Globes USA design program. This act takes effect on July 1, 2007. Legislative updates include provisions that require the revision of the state building code no later than July 1989, in order to incorporate necessary 1988 BOCA International revisions. Furthermore, future revisions are limited to occur not more than every four years thereafter. Legislation is passed requiring that the State Building and Fire Safety Codes (SBC) promote and ensure design and construction of energy-conserving buildings and the use of renewable resources.